Facsimile: Dawson's Canadian Map, 1887. Facsimile: U.S. Coast Survey Southeastern Alaska (portion). 1 : 2350000 Emmons, G.T. 1 : 5900000 Johnston, T.B. Facsimile: Southeastern Alaska with Four Boundary Lines. Facsimile: Russian Map Numbered 5 (portion). Facsimile: Herbert's Colonial Manuscript Southern Alaska (portion). Embouchure, Fleuve Mackensie. Amer. Sep. 6. Partie, l'Amerique Russe. Amer. Sep. 23. 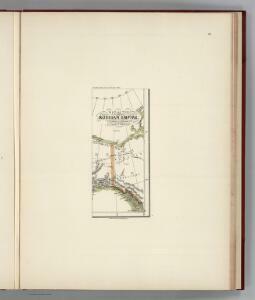 Facsimile: Portland Channel and Vicinity (portion). 1 : 175000 Scott, Robert N.
Cote N.O. de l'Amerique. 1. Composite: Sheets No. 1-24. Alaskan Boundary Tribunal. (Volume 3). Atlas of Award. Facsimile: S.E. Alaska British Commission Map.